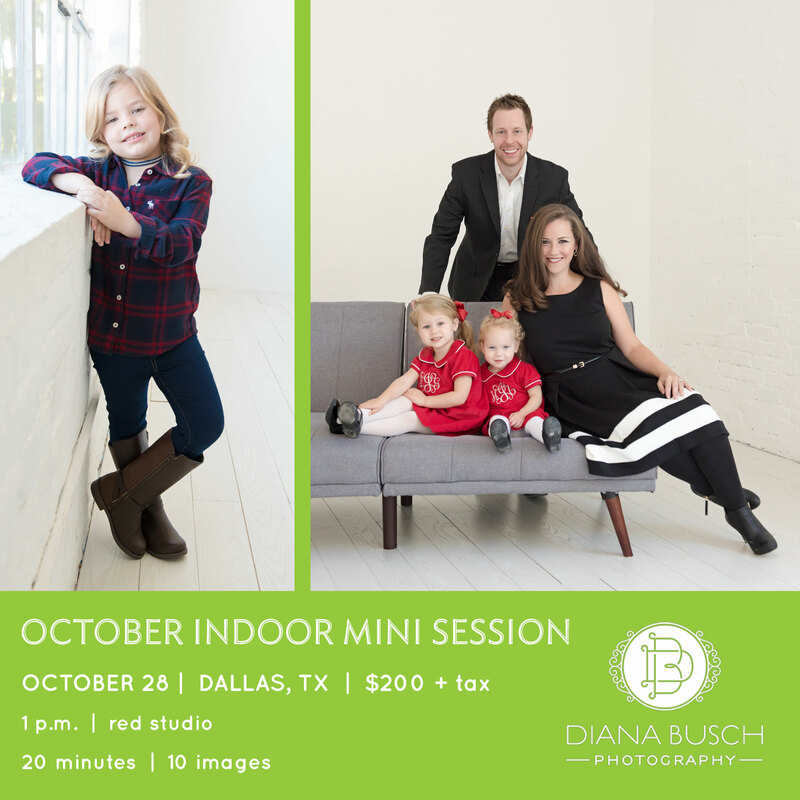 This is one of 3 mini session dates for this Fall. Full sessions are also very limited this year, so please do not wait to book! This Mini Session will be midday in Dallas. The available times are listed below. You must pay the $100 booking deposit to secure your session. There will only be one hour that is booked in the red brick studio. Once these times are gone, there are no additional slots, so please do not wait to book! Red Brick Studio: 1:00 p.m. 1:20 p.m. 1:40 p.m.